Whether given away at conferences to prospective customers or handed to outstanding employees, promotional products can be a great way to spread your brand’s message. However, you want to make sure your brand is associated with a quality, useful item the recipient will continue to make use of. In several studies conducted by PPAI, a majority of respondents ranked the “usefulness” and “quality” of a promotional product as their top two reasons for keeping the product for at least five years. Here we’re rounding up our favorite gifts that any gadget-obsessed individual is sure to enjoy and get use out of! In a sea of pens and notepads, a functional gift that everyone has a use for will stand out above the rest. Many people enjoy listening to music either at the office or on-the-go, which makes headphones and speakers enjoyable options for gifts. Not only will this be appreciated by the recipients, but if used often enough, your branded message and logo get spread around wherever they are worn. The quality of the headphones and speakers is going to determine the effectiveness of this strategy. Many tech-savvy folks will turn to quality when it comes to listening to audio for hours on end, so handing out the cheapest earbuds isn’t going to spread your message as effectively as giving out those with a better sound quality. Of course budget comes into play here, but quality is more important than quantity when it comes to promotional products. 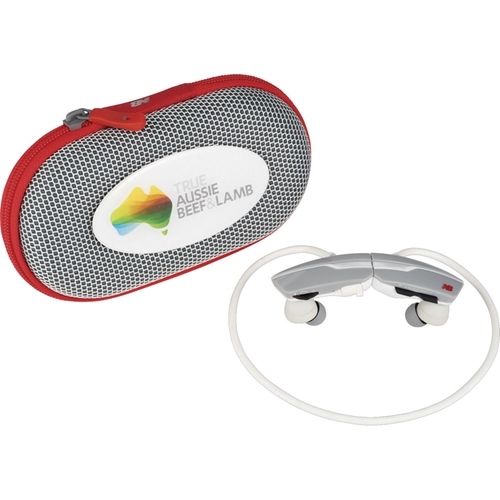 Headphones and speaker promotional gifts are likely to be a hit at any tech-related conference, specifically for developers and other technical marketers. In terms of workplace gifts, most any employee nowadays would find a nice pair of headphones to be a very useful gift – especially those of younger generations. When you’re at a conference, electricity for your mobile devices is a hot commodity. Between adding new contacts, taking notes during sessions, and browsing the conference hashtags on social media, phone and tablet batteries can drift towards empty pretty quickly. Power banks and portable chargers are always well-received by conference attendees. A good way to make sure your brand stands out among others handing out similar items, is to give away a power bank that offers more battery life. Not only does this check off the quality requirement from the previously mentioned study, but your prospective customers will remember that your product removed the worry of their device losing charge towards the end of a long day. Multi-purpose gadgets are likely to be a favorite as well. 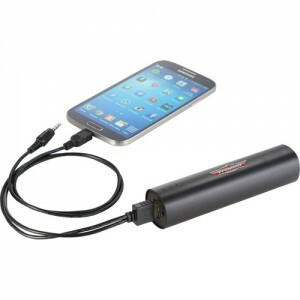 Take a high wattage power bank and combine it with a speaker for playing music on-the-go. These types of products tend to make great travel companions likely to be appreciated by those who traveled long distances to be at the conference. 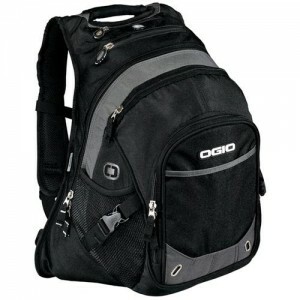 Tech-friendly consumers enjoy the cases and bags that hold their electronics almost as much as the devices themselves. Yet, offering a low-quality case to protect a high-quality device won’t impress many people, leaving the products to get used less frequently – if at all. Six in 10 consumers said they would look more favorably upon the company giving out the products if the promotional item were a familiar brand. This statistic is important to keep in mind, especially when selecting the type of bag you are willing to give away. While bags make great conference giveaways, rewarding your best employees with a high-quality, functional gift can also help build loyalty towards the company. At the same time, this type of gift can show others that the company does care about it’s employees, and even offer an incentive to perform better in the future. A wireless keyboard is another option that travels well for the tech lover in your industry. Whether on an airplane or in a coffee shop, this handy device can make working on-the-go so much easier. Imagine having your brand name on a bluetooth keyboard that helps your prospective customer get work done outside of the office. This is a unique gift that recipients are sure to find use for time and time again, keeping your brand top of mind. 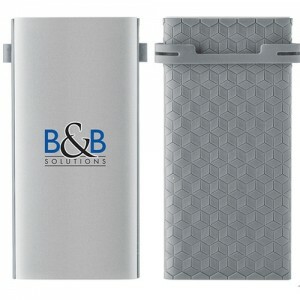 If you’re providing giveaways for your employees, a thoughtful gift may be one that enhances their company cell phone. Show that you appreciate their commitment to answering the call by outfitting their cell with a cool case to keep their device protected and looking stylish. Your colleagues might also like a stand to keep at their desk so that their space looks more organized and professional when meeting with prospective clients. Meanwhile, a cell phone wallet is a great solution for business people on the go! 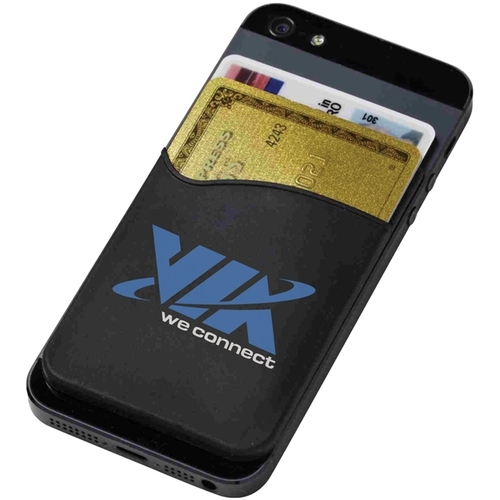 Slim and discreet, it allows the wearer to carry cash, credit cards, and even business cards in their phone case. Bulk is a thing of the past! 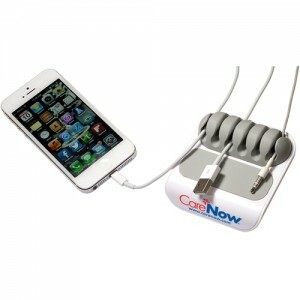 For a really sophisticated promo item, check out our selection of electronic gift sets. These items are best given to standout employees, top clients, and influential business partners. Displayed in a handsome and fully customizable case, each comes equipped with a number of gadgets and gizmos that can enhance their devices – whether at work, in the car, or at the gym. iPads and Tablets are often brought on vacations as opposed to bringing a laptop. A carrying case that includes a mobile keyboard can be a great gift for heavy travelers. Allowing the flexibility to get additional work done in flight or at the hotel can increase productivity for business owners and other professionals. This type of case can also offer your own employees the ability to enjoy some entertainment during business trips. 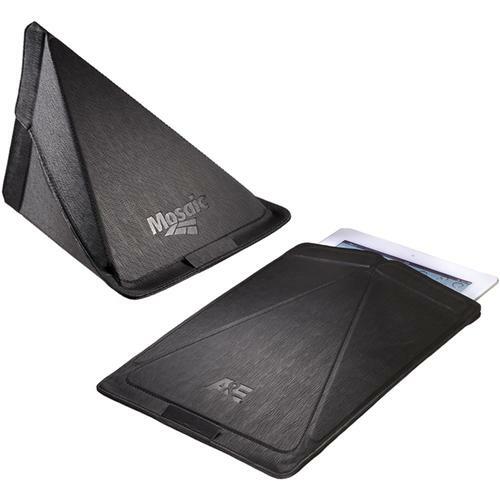 If looking to show appreciation towards your hardworking employees, an iPad case that includes additional features can be a great way to do just that. 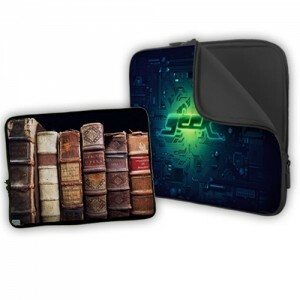 Whether they need a case that can hold writing utensils, papers, notes, or business cards, there are a variety of cases that can accommodate a multitude of options. For the minimalist iPad owner, there are a number of sleeves and simple cases to select from as well. Anything from leather to neoprene, and even some alternative designs for those who like to stand out. For the person who brings everything with them, there are cases that can hold multiple devices at once. Tech lovers tend to have many gadgets on their desk, including multiple monitors, cell phone chargers, computer cables, and more. The problem with this is that many of those items have cords that go along with them, often leading to an unorganized desk space. A great way to help any regular computer user keep their desk surface clear is with a desktop organizer that offers slots to hold multiple cords. 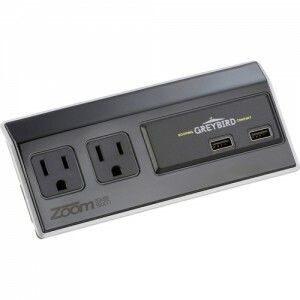 Not only does this leave a more polished looking desk, but it also creates room for even more gadgets! In addition to holding multiple cords, there are smaller versions of this product that are great for keeping those pesky earbud wires untangled. For a more polished look, there are a number of wireless headphones that will play high-quality audio for anyone with a bluetooth device. 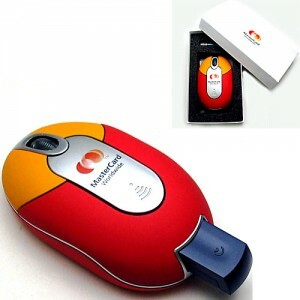 Wireless mice for computers are a very functional gift for laptop and desktop users alike. Those that travel are especially fond of a smaller mouse that easily fits into a laptop case. Affixing your logo to this item can keep you on your customer’s mind while they browse the internet at the office or coffee shop. According to the PPAI, recipients tend to relate a brand name product to the organization’s reputation. However, “a higher priced branded item could be matched in appreciation by a properly working generic,” according to the study. Regardless of the brand, the best promotional products are ones that get used out in the world enough to spread your brand and logo. There are plenty of functional products that get used on a regular basis, and a high quality that makes the recipient feel valued while boosting your brand’s image.